FIFA 18 continues its ranking countdown, and players ranked between 20 and 11 have now been revealed. EA Sports’ FIFA franchise is a topic of great interest for fans across the club, and the latest edition of the game, FIFA 18, has now got the buzz. FIFA 18 has been revealing the top 100 rated players in the game in batches for the last few days. The latest batch features players ranked between 20 and 11. The list features Atletico’s superstar Antoine Griezmann at the 20th position with an overall rating of 88. Then, in the 19th position, former Atletico goalkeeper Thibaut Courtois finds his place with an overall rating of 89. Sergio Aguero and Gareth Bale are tied at overall rating of 89, but the Real Madrid attacker features a rank higher than Aguero, who is 18th best player in the game. Juventus’ giant Giorgio Chiellini is one of the highest rated centre-backs in the game with an overall rating of 89. The Italian is ranked 16th in the list. Chiellini’s teammate Gianluigi Buffon also boasts a rating of 89, but the veteran goalkeeper finds himself in 13th position. Manchester City’s Kevin De Bruyne, and his ‘almost’ team-mate Alexis Sanchez, from Arsenal, take the 15th and 14th positions respectively. Both the Premier League attackers are tied at 89 as overall rating. 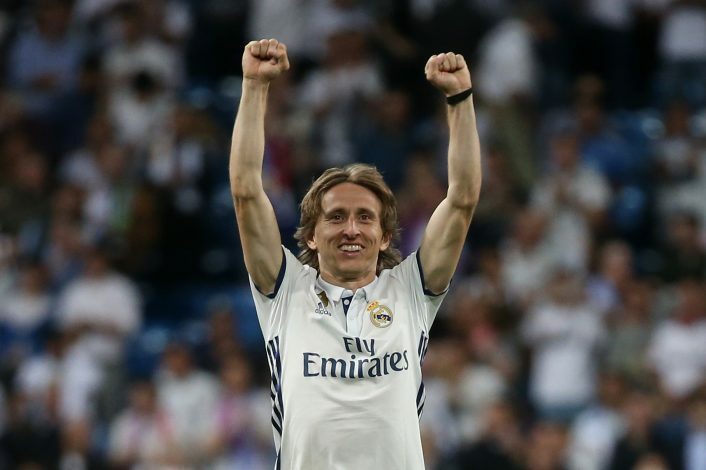 Real Madrid’s Luka Modric, at 12th position, has an overall rating of 89, whilst Manchester United’s Spanish goalkeeper, David De Gea, features as the 11th best player in the game with an overall rating of 90.